Today superstar singer/dancer Chris Brown honored artist Vanessa Carlton & her classic "A Thousand Miles", but to a huge surprise it all backfired when Carlton decided to acknowledge his positive comments & brought up issues from his past. Breezy took to instagram to share his love for the song that was used in the movie White Chicks & said that the record would be "LIT FOREVER". Once Carlton caught wind of his post she brought up his 2009 domestic abuse situation with Rihanna. 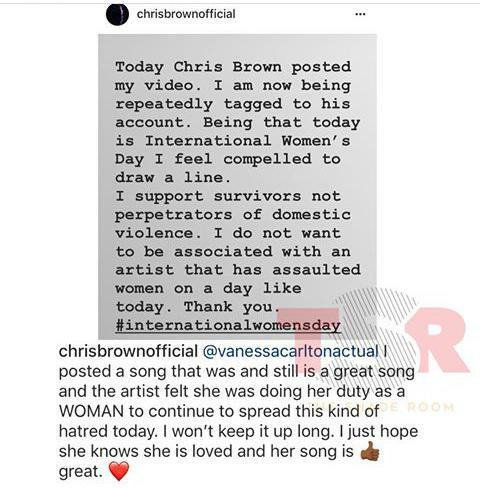 Once Chris saw her message he reposted & added a caption where he continued to give her a compliment on her song, but asked the question on why she would continue to "spread this kind of hatred today". 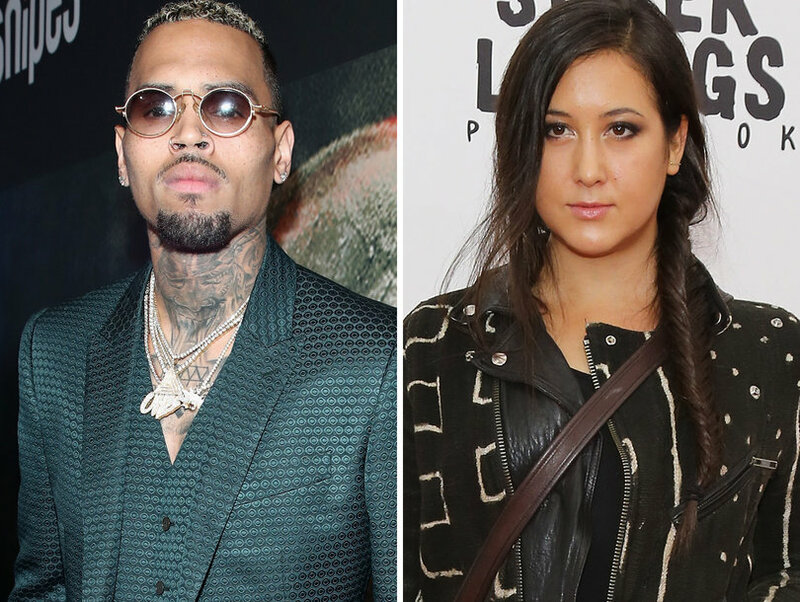 I completely understand that what happened between Chris Brown & Rihanna in 2009 was a horrible incident & people may still be upset with Chris. Over the years he has apologized for his actions. Unfortunately what Vanessa Carlton said to him when he was trying to publicly honor her for being a great artist was childish. I do understand that she was standing for all women, but to say what she said was inappropriate & uncalled for. 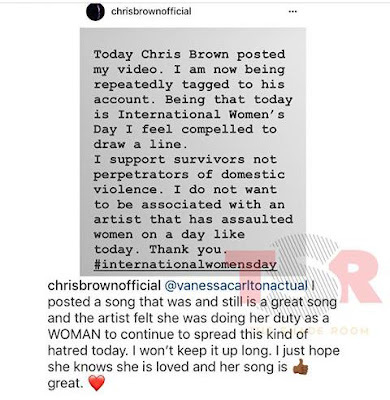 Chris has tried to redeem himself, but unfortunately social media & people who find it hard to forgive is exactly why he continues to have the label of the bad boy of the industry. Hopefully as some point people will forgive & focus more on how great of an artist he is.